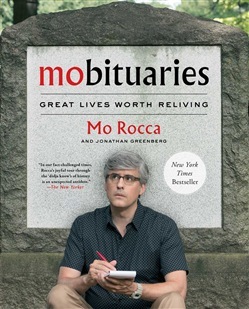 From popular TV correspondent and writer Mo Rocca, a charmingly irreverent and rigorously researched book that celebrates the dead people who made life worth living. 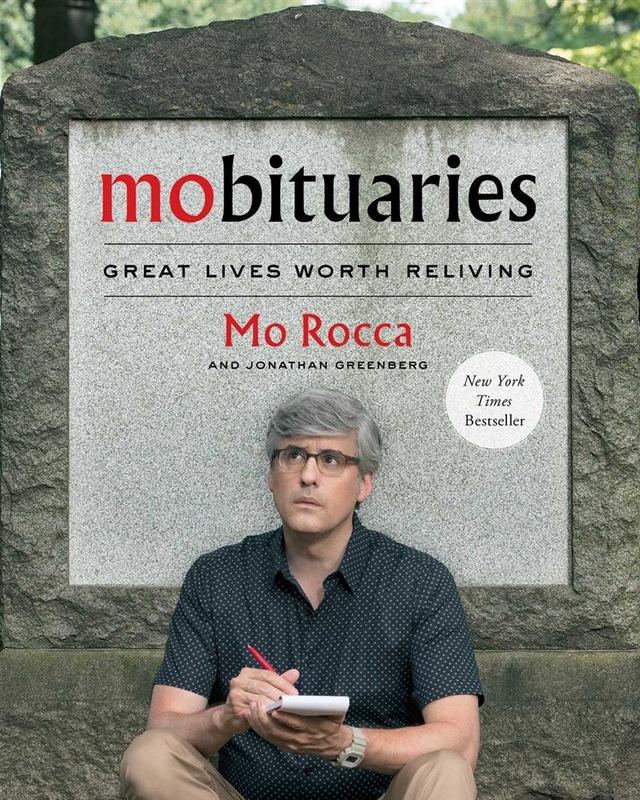 Mo Rocca has always loved obituaries—reading about the remarkable lives of world leaders, captains of industry, innovators and artists. But not every notable life has gotten the send-off it deserves. With Mobituaries—the book companion to the CBS podcast of the same name—the journalist, humorist, and history buff is righting that wrong, profiling the people who have long fascinated him—from the 20th century’s greatest entertainer...to sitcom characters gone all too soon…to a shamefully forgotten Founding Father. Even if you know the names, you’ve never understood why they matter…until now. In these pages, Rocca chronicles the stories of the people who made a difference, but whose lives—for some reason or another—were never truly examined. There’s Thomas Paine, whose Common Sense lit the fuse for the American Revolution—and whose paltry obit summed up his life thusly: “He had lived long, did some good, and much harm.” And then there’s screen icon Audrey Hepburn. She remains a household name, but how much do we know about her wartime upbringing and how it shaped the woman we fell in love with? And what about Billy Carter and history’s unruly presidential brothers? Were they ne’er-do-well liabilities…or secret weapons? As a correspondent for CBS Sunday Morning and the host of The Henry Ford’s Innovation Nation, Rocca is an expert researcher and storyteller. He draws on these skills here. With his rigorous reporting and trademark wit, Rocca brings these men and women splendidly back to life like no one else can. Mobituaries is an insightful and unconventional account of the people who made life worth living for the rest of us, one that asks us to think about who gets remembered, and why. Acquista Mobituaries in Epub: dopo aver letto l’ebook Mobituaries di Mo Rocca ti invitiamo a lasciarci una Recensione qui sotto: sarà utile agli utenti che non abbiano ancora letto questo libro e che vogliano avere delle opinioni altrui. L’opinione su di un libro è molto soggettiva e per questo leggere eventuali recensioni negative non ci dovrà frenare dall’acquisto, anzi dovrà spingerci ad acquistare il libro in fretta per poter dire la nostra ed eventualmente smentire quanto commentato da altri, contribuendo ad arricchire più possibile i commenti e dare sempre più spunti di confronto al pubblico online.